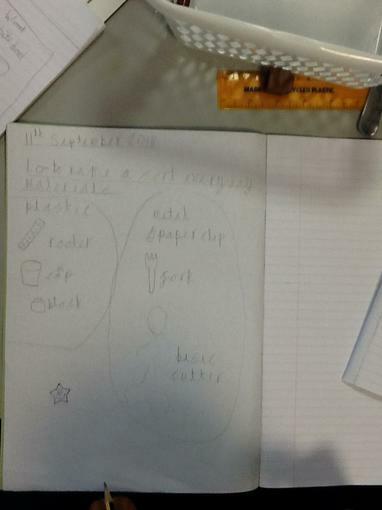 We began by comparing a metal spoon and a plastic spoon. 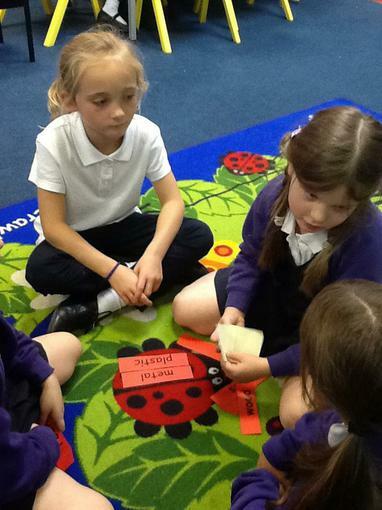 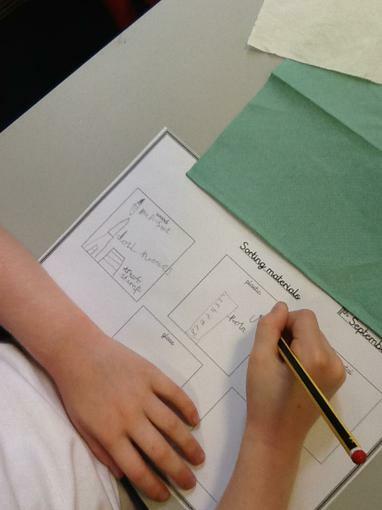 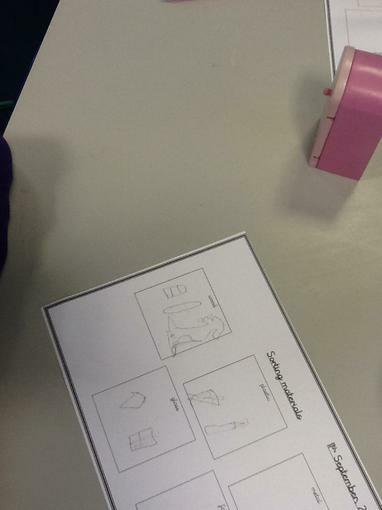 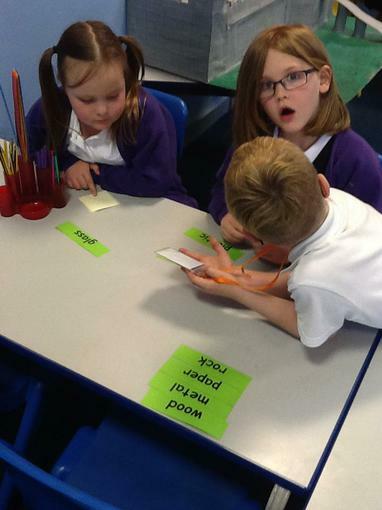 The children worked with a talking partner and wrote the similarities and differences on a post-it note. 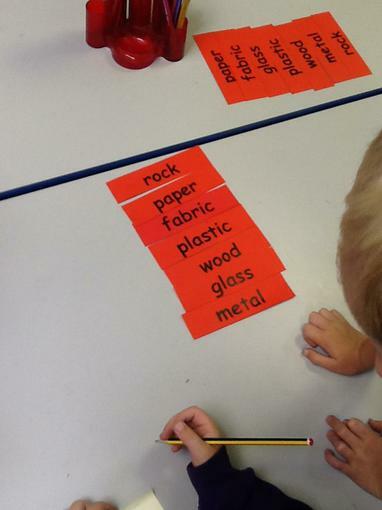 We put the materials in rank order from the most important to the least important and justified why.